Hayneswood works with clients at the Research and Development (R&D) and design stages to achieve the most cost effective way to manufacture. We ensure items are designed for manufacture by placing emphasis on concurrent engineering during the early stages, incorporating R&D prototypes where appropriate. Hayneswood Engineering is a leading manufacturer of CNC machined components and precision engineered parts, fabrications, assemblies and kit sets for supply to the Aerospace, Nuclear, Automotive, MoD, Electronics, Medical, Petrochemical, Motorsport and Marine Industries. Hayneswood are specialists in the manufacture of precision engineered parts and complex components using state-of-the-art multi-axis machinery and CNC machine technology. We can engineer the production of a 'one-off' Prototype part or produce 'hundreds-off'. 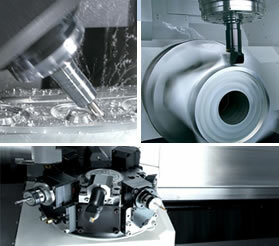 To ensure the highest quality, each CNC precision machined component is inspected and subject to traceability. We have the capabilities to produce simple and complex components out of a wide variety of materials including aluminium, stainless steel, brass and plastic and fibre type materials. Our professional project managers, engineers and skilled production team, work with customers to provide engineering solutions that meet the specific requirements of each project. Over the years we have developed the skills and expertise that enables us to control manufacture and produce the highest quality parts for our customers who are suppliers to many different industries. Are looking for a dedicated and enthusiastic team to take on the manufacture of your precision engineered components? Do you want high quality engineered solutions, manufactured exactly to your requirements, competitively priced and with efficient delivery? Then why not contact us to discuss your project in more detail.